Gurmeet Singh (born 1 July 1985 in Uttarakhand, India) is an Indian athlete who competes in the 20 kilometres race walk event. He is a current Indian record holder in the 20 km race walk, which he set in the Indian Grand Prix I in Patiala in May 2011. Gurmeet is sponsored by the Mittal Champions Trust, an initiative run by steel magnate Lakshmi N. Mittal. 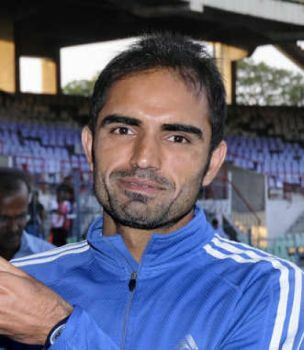 He is one of the three Indian athletes who qualified for the 2012 Summer Olympics in 20 km race walk event with an 'A' qualification standard (1:22:30). He achieved this berth in the 18th Dublin International Grand Prix in Ireland after finishing sixth with a time of 1:22:05. 2015 World Athletics Championships - How many medals can India bag?